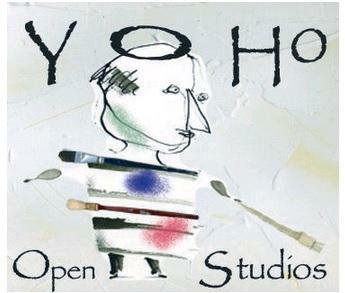 Yonkers NY: On Saturday May14th and Sunday May15th from 11 am to 5 pm, the public is invited to view the studios and art with the artists at the 8th Annual YoHo Artists Spring Open Studios. This event is free. The YoHo Artists Studios are located at 540 Nepperhan Avenue and 578 Nepperhan Avenue, and 222 Lake Avenue in Yonkers, in the former Alexander Smith Carpet Mills Building, an historic landmark. This thriving community of more than three dozen artists is one of the largest artists communities in the Greater New York area. Many of the YoHo Artists are gallery-affiliated and have exhibited internationally. The artists will open their studio doors, giving the public a rare opportunity to learn about their artistic process, from painting to photography, textile art to sculpture, collage to installation. Many of the artists works are for sale at studio prices. The 8th Annual YoHo Artists Spring Open Studios 2011 is a two day free event open to the public, galleries, museums, journalists, students, scholars, and collectors. There is plenty of free parking in the rear of the YoHo Artists Studios building, and a Municipal Parking Lot with meters across Nepperhan Ave.
Curated group show,Connect the Dots, by the 80s East Village NYC art scene gallerist (New Math Gallery) Nina Seigenfeld Velazquez. Contemporary artists from around the country have been invited to submit pieces that deal with the subject matter in a literal, figurative, or conceptual manner. Kids Concessions is an annual favorite performance, building on years past artful lemonade stands. The Eli Yamin Blues Band presents their CD release of I Feel So Glad. Come celebrate the CD release of one of our resident artist musicians. Eli is principally a Jazz/Blues musician who tours extensively internationally. Creating Nightmares Debut Art Showcase. Hosted by Creating Nightmares, featuring the work of YOHO resident artist RJ DiBenedetto, Tony Polley, Eric Morello Abstract Pat, Jennifer Auchipini, and others to be announced. Guest artist site-specific installation by Sarah Millman. Sarah is a fibers-based installation artist whose project for Open Studio involves (Sarahs words) knitting, lots of yarn, wire, and misbehaving flowers. Inner Spaceis a curated group show assembled by resident artist Em Meine; featuring the work of Ashley High, Alyse Ronayne, and Leah Wolff. Inner Space explores the limitations of what can be perceived and interpreted through observation and attempts to confront the boundaries between our physical experiential knowledge and conceptual understandings of our innermost selves and external infinity. Why: To meet with the artists, tour their studios. For more information call Dean at Tomasula Studio at 914-305-4296, email dean@tomasulastudio.com or visit www.yohoartists.com. Illustration event graphics by Alexa Grace..